Inspired by contemporary architecture, the Maxxi Table Lamp by Heathfield & Co is skilfully formed by expert craftsman in the UK. 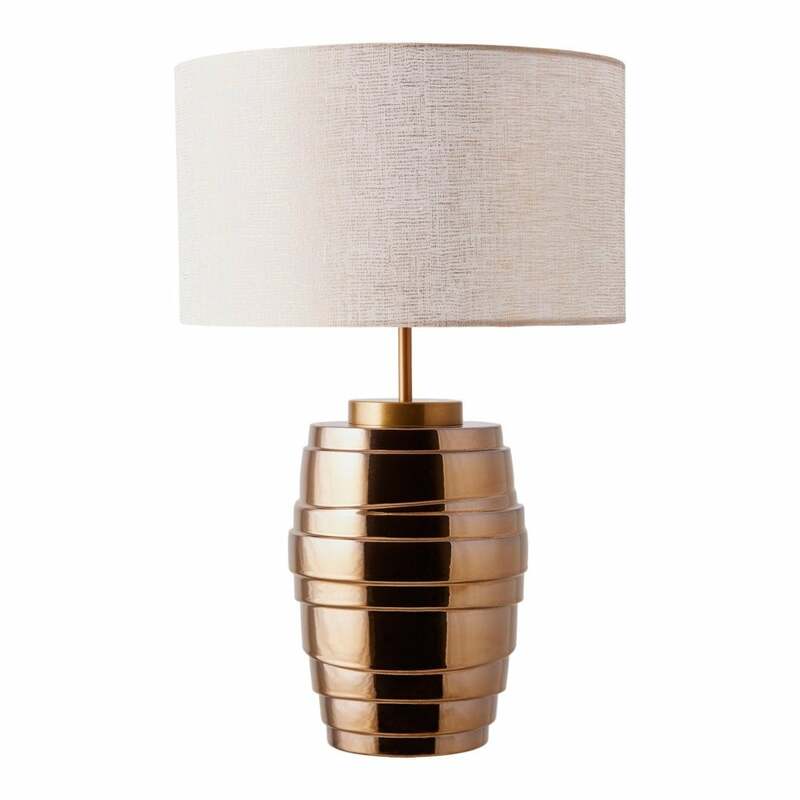 The on-trend, antique brass finish accentuates the table lamp’s sweeping bands. The bold lines and curved form will make a glamorous addition to a bedside or console table. Shown here with a vanilla sheer shade, style with a paired-back palette for a subtle look or use a dark satin shade for drama. A wide variety of luxurious fabrics and colours are available. Make an enquiry for more information.